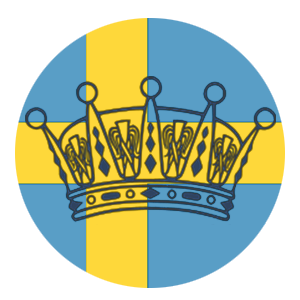 The Royal Court announced the birth of Sofia and Carl Philip's baby- a boy- on 19 April at 18.25 (6:25 pm)! Prince Carl Philip held a press conference at the hospital a few hours following the baby's birth and told the press that they were surprised it was a boy (they had chosen not to find out the gender) and that the baby had dark hair. The Queen, who was in New York with Princess Madeleine, at the time got to see the baby by using Video Chat and said he was very cute. The King was accompanied by the Crown Princess when he announced the babies name on 21 April to the Cabinet. The Prince will be called Prince Alexander Erik Hubertus Bertil, Duke of Södermanland. Södermanland has a special place in the Prince Couple's heart because Carl Philip has a house there and it is thought that it was in that house that they got engaged. The newest Prince's names brought a mixture of surprise as well as the expected. I personally was not expecting Alexander or Hubertus to be apart of the name but I was very confident that Erik and Bertil would be included. Hubertus is one of the King's names so that is a nice tribute to him- I was expecting them to use either Carl or Folke. Erik is Sofia's father's name and Bertil is after Prince Bertil, Carl Philip's beloved Godfather. I am not sure where Alexander came from but it is a lovely name for the littlest Prince. Victoria wore a blazer from Veronica Virta - some believe it to be a white color and other believe it to be a light pink. I personally think it is white so I am going to include it in that color here below. She also wore a pair of earrings from Charlotte Bonde. The following day the family attended the Te Deum service for Prince Alexander. It was pushed back a day or two so that the Queen could be in attendance. Madeleine and her family were still in the United States as Madeleine was attending some meetings for Childhood so they did not fly back to attend. Victoria wore her Light Pink LK Bennett coat which she had modified to remove the collar. She paired it with a Blouse and Skirt from Baum und Pferdgarten which I wish we could have seen a full length photo of! It looked lovely! Heres to hoping she wears it again! Queen Silvia wore a neutral colored skirt and jacket. The jacket was first seen a few days prior while in New York. Apr 29 UPDATED: Celebrations for the King!